Risk free trial offer - get the U.S.S. 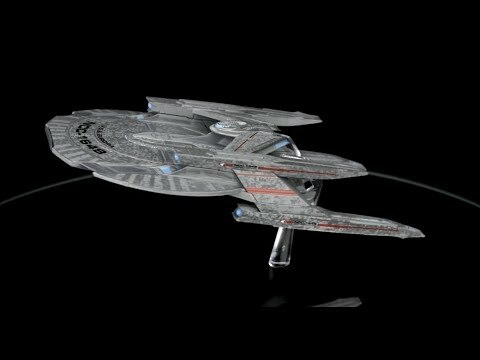 Shenzhou NCC-1227 for only $19.99 and save an amazing 70% on the RRP! There’s no commitment, you can cancel anytime but if you enjoy the collection, each month you will receive a stunning new Star Trek: Discovery Starship at an exclusive discount price of $56.99 (RRP $69.99) per ship. Postage is $8. 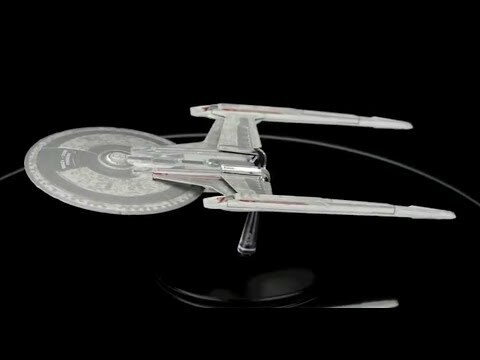 These Star Trek: Discovery Starships will not be available through other Hero Collector™ subscriptions. Exclusive subscriber gifts worth $200! Every model comes with a collector’s magazine that has been especially created for the series. 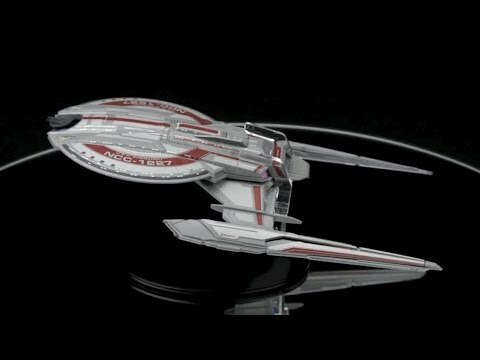 Proﬁles of every ship, featuring new CG imagery that has never been seen before. The inside story of how each and every ship was designed with original production art. An in-depth article about the design process behind the ship, with exclusive interviews with the concept artist who worked on the design. All models are die-cast, hand-painted with intricate detail using references from CBS Studios's own archives of designs and CG models and comes with their own display stand. Captain Philippa Georgiou, Lieutenant Commander Michael Burnham and their crew, seek out new life and civilisations with this detailed model of the U.S.S Shenzhou NCC-1227 Starship from the highly anticipated Star Trek: Discovery series, the latest addition to the Star Trek universe. The Shepard-class Kerala was one of the starships that arrived to assist the U.S.S Shenzhou at the fateful Battle of the Binary Stars. Unlike several of her fellowships, she managed to avoid being destroyed by Klingon torpedoes.The highly detailed U.S.S. 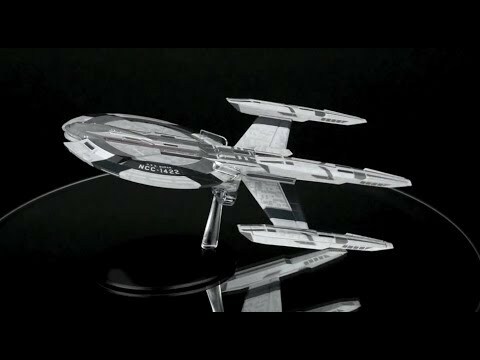 Kerala(Shepard-class) model is 8.5 inches long and based directly on the original VFX models created for the show. 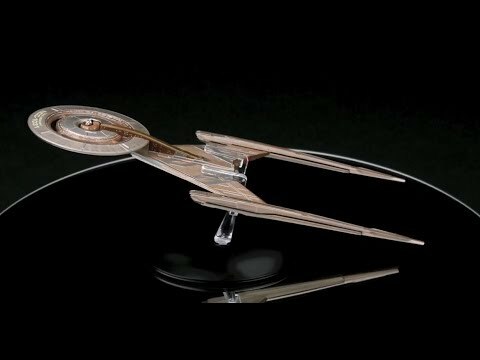 The model is die-cast, hand-painted with intricate detail using references from CBS Studios's own archives of designs and CG models, and comes with its own display stand. 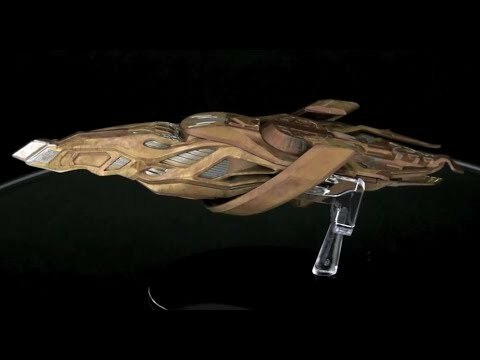 The Klingon Bird-of-Prey was one of the best-known vessels used by the Klingon Empire across the 22nd and 23rd centuries. 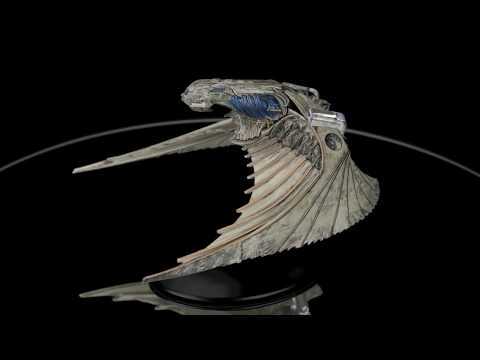 The mid-23rd-century iteration was a relatively small warship (though larger classes may have existed) that had a similar avian design to other Klingon Birds-of-Prey. It also played a significant role in the Battle of Binary Stars of 2256, the first battle of the Federation-Klingon War. The U.S.S. Europa NCC-1648 is a Nimitz-class starship under Starfleet, commanded by Admiral Brett Anderson. Used to secretly meet with the Klingons, the U.S.S. Europa was rammed by an enormous cloaked Klingon ship and both ships were ultimately destroyed by the breach of the ship's antimatter containment field. Vulcan cruisers were small, warp-capable craft used by the Vulcans during the 23rd century. Designed for planetfall, they came to rest on retractable landing gear, allowing for entry/exit through a door in the nose. A walkway led to the simple command station, which could be operated by a single crewman. The Cardenas class of Federation starship, active in the 2250s, was instantly recognisable by its unique quad warp-nacelle design. Two of these nacelles jutted up above its secondary hull and two beneath it in a distinctive ‘X’ formation. The Qugh class was a large, warp-capable Klingon Attack Ship that played a prominent role in the Federation-Klingon war of 2256-2257. The name ‘Qugh’ literally translates as ‘disaster’ and Starfleet classed the ship as a destroyer. Star Trek returns 50 years after first premiering with Star Trek: Discovery, the new series from CBS featuring new characters, new missions, but most importantly: new starships! 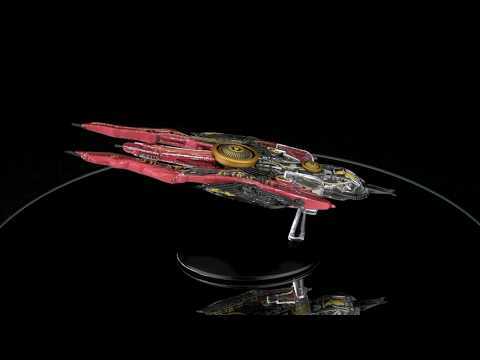 Eaglemoss is proud to present Star Trek: Discovery Starships. You can pay by Visa, Mastercard, and PayPal. We have planned 20 ships planned in this collection. Why is this not part of the regular series? Because this is a separate licence from the main collection. Why have we decided to produce the series in this size? The reaction to the special issues in the regular collection has always been positive so we wanted to work on the same basis for this shorter series of ships.